Sitting here in the Snowshoe Motel in Frisco, Colorado in a much needed vacation with my husband. There’s just something about the Rocky Mountains in Colorado. Breathing in the fresh mountain air, dropping a fishing pole into a creek or reservoir, spending time outside in the quiet of nature, lead me to three ways of finding a fresh perspective towards success. 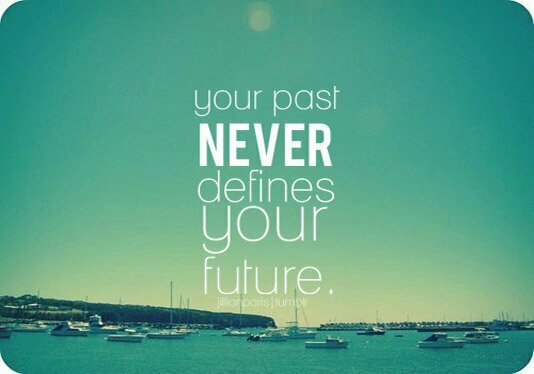 Stop focusing on the past! Change the outlook for the future! It’s seems like every time we’re getting ahead something comes along from past mistakes, grabbing my attention and making me feel gulity, worthless, like I totally screwed up life. Repairing past financial decisions, caused by myself have not been easy for me. I hate accepting the fact that I messed up. However I am thankful for my husband’s unconditional love and support through it all. When past creeps up remember your past is over. It NEvER defines you! What is happening right now to steal my present success? Staying stuck in my past mistakes keeps me from moving forward in all areas of life. What steps can I take to change the outlook? Letting the past go even when it knocks on my door reminding me of what I’ve done. Reading positive and motivating books such as Think And Grow Rich by Napolian Hill or 7 Habbits Of Highly Effective People by Steven Covey. Just two of my personal favorites. Writing a list of personal successes will help keep your focus on the present and the future. Look forward to new challenges. Tackle them head on. Write down a new daily, weekly and one yearly goal. Yes I said one yearly goal. It’s August 12, 2017 so that leaves almost four months to complete it. When I decided to change my perspective, I felt comforted to know that all that I was going through had a purpose, even if I did not understand it. I found a peace in knowing that I could change my mood in an instant by changing my perspective. It’s up to each individual person to decide whether to move forward with the present and change the outcome for the future, or stay stuck in the past with regreats and anxiety.